When you leave a final-salary pension scheme like this, your benefits get frozen. This is called “preservation” or “deferment”. Your pension is worked out and fixed at the date you leave the pension scheme, and then, in most cases, it increases every year in line with prices to make sure its value doesn’t drop. Unless you decide to move it, your pension will stay in this scheme until you get to your normal retirement date. The scheme will then pay a pension to you directly for the rest of your life. Once you stop building up a pension in this scheme, the value of your pension is fixed. Although this might go up every year in line with prices, no other changes will take place. Because of this, we do not write out to members every year with a benefit statement. You can however log in to My Pension Tracker to view the current value of your deferred pension. You can leave your pension where it is and do nothing. The pension will, in most cases, increase every year in line with prices and then, when you get to retirement, the Fund will pay you a pension for the rest of your life. You have the option to transfer to another pension scheme at any time up to one year before your normal retirement date. You can sometimes transfer after this date, but you will need to contact us to find out whether this option is available to you. You should speak to an independent financial adviser if you want to investigate this option; we can’t tell you whether a transfer is the right option or whether it will benefit you. If you are over age 55, you can sometimes begin to receive your pension early. This might include giving up part of the pension in exchange for a tax-free lump sum. The farther away you are from your normal retirement date, the more the pension will be reduced. The law currently states that only people over age 55 have this option – and this is currently the same for all UK pension schemes, although it could change in future. Can I cash my pension in or have my money back? If you have paid into the Fund for more than two years, then you cannot have a refund. If you want to take the whole of your pension as a cash lump sum, then you will need to transfer it to another pension scheme that provides access to this option. 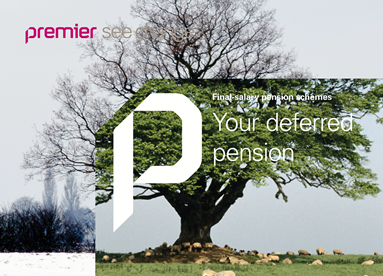 You should speak to a financial adviser when considering transferring a pension. Where is my annual statement? Once you leave this scheme, you stop building up a pension in it, and the value of your pension is fixed. Although this might go up every year in line with prices, no other changes take place. Because of this we do not write out to members every year with a benefit statement. You can however log in to My Pension Tracker to view the current value of your deferred pension. The current minimum age in the UK at which you can start taking your pension is 55. Please contact us if you are interested in taking your pension early, and we can tell you whether you will be eligible and how this might affect the level of pension that is paid to you. Make sure you keep us advised of any changes to your contact details, as we will need to get in touch with you when it’s time to start paying you your pension. You do not need to do anything else, as we will automatically contact you closer to your retirement date with details of your pension.